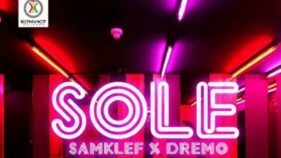 Dremo Jumps On Samklef "Sole"
Hit producer Samklef returns with a smashing new song off his fourth album Sole featuring DMW artiste Dremo. The club banger is about a governor's daughter who wants his medicine. In return, Dremo tells her he will treat her right.